Posted in Products & Services, Recap, Trellian Direct Search Network. Bookmark the permalink. 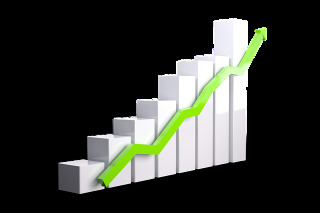 Trellian Direct Search Network has provided businesses of all sizes with brand-safe domain redirect traffic since 2008. Thanks to our integration with company-owned domain investor platform Above.com, we control the traffic we sell every step of the way. This unique advantage gives our clients traffic of noticeably higher quality and relevance for their keyword and RON campaigns. Depending on the intended audience, marketers can purchase traffic by individual keywords, by category/vertical, or by picking from our 200+ GEOs/countries (run-of-network). Each type of campaign also includes additional targeting options to fine-tune your campaigns and choose who is sent to your site with pinpoint accuracy. Our premium traffic is an excellent addition to traditional PPC campaigns, or as a solo campaign. Similar to PPC campaigns, we run on a self-serve proprietary real-time bidding platform. An important distinction between PPC and domain redirect is that our users are not distracted by competitors such as when they are served a search results page. Domain redirect traffic is also referred to as zero-click, because the user is instantly redirected to your landing page and they do not have to click on your ad. Between our auction-based platform and our relatively low minimum deposit, businesses of all sizes can acquire intent-driven traffic on any budget. One benefit of giving our clients the power to run their own campaigns is the reduction in our overhead costs. Therefore, not only are businesses getting access to traffic directly from the source (domain owners) when using Trellian, but they’re obtaining it at cost-effective prices! Each account is still assigned a dedicated traffic expert who is more than happy to step in and help as needed. Trellian’s customer-centric platform was built with our clients in mind. We enhance and add features according to user feedback to ensure you are in the best position possible to succeed. Whether your objective is to increase sales, generate more leads, broaden your brand’s reach, or all of the above, we can assist you in accomplishing those goals. Check out our quick start guide for instructions on getting your account set up. Also watch our new video for a brief summary of what domain redirect traffic is and where our traffic comes from!